And things turn ugly with Mike “The Mouth” Matusow. 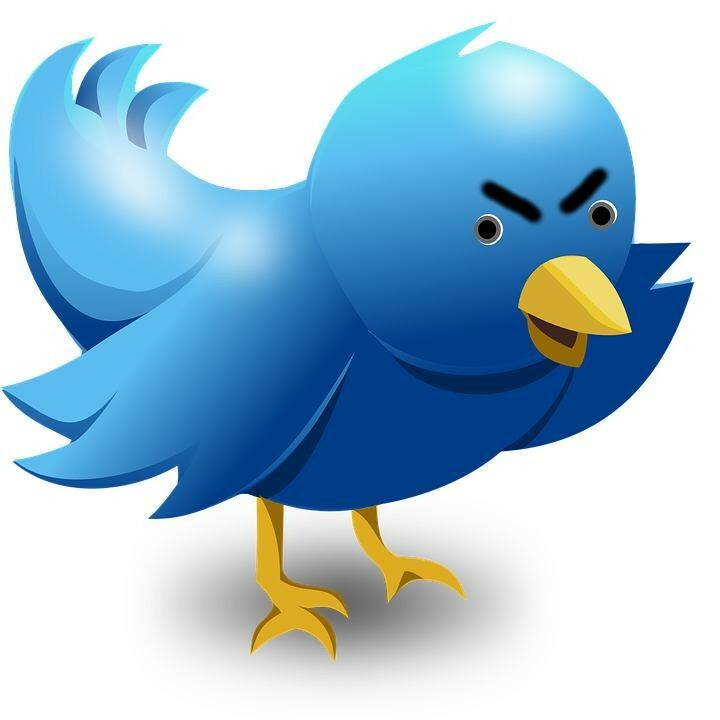 With tensions rising over the upcoming presidential elections, Daniel Negreanu is using his social media reach to share his thoughts on the candidates and there is one in particular that he is getting especially vocal about. ^^ Negreanu’s commentary had me laughing out load on this one. Only a few days ago Twitter blew up over comments made by Negreanu, to Mike Matusow following a tweet by Erik Seidel that divided opinion. But people were not happy about his comment and this was just part of the backlash. Whether he spoke unjustly or not, Negreanu has a message he wants heard. Looking at his twitter feed since then, Negreanu is still being as vocal as ever and it looks like he is yet to apologize. Drug taking aside, and being firmly in the democratic camp ourselves, we are behind Negreanu 100% in agreeing that Trump should not be the next POTUS. Although technically it was posted on Wednesday. Chicago Joey wins the prize for best Throw Back Thursday picture. Ever. Papi was even el Jefe ten years ago when he rocked the GTO style of white on white complete with dog tag. Well it was 2006. It continues to be the best thing I have seen all day. Dan O’Brien & Cate Hall join forces to bring a fresh and honest account of playing poker as one of the pros. 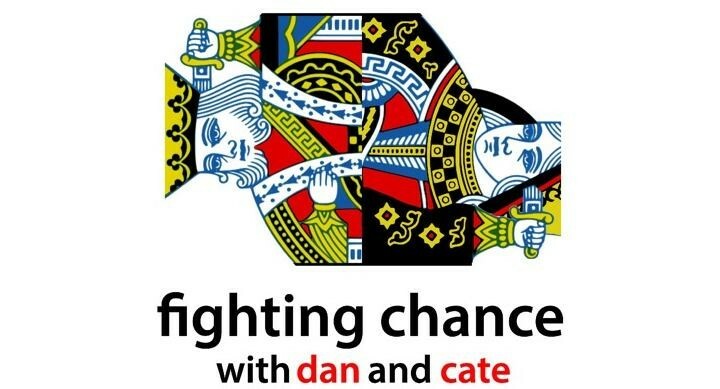 Fighting Chance is the new podcast from Cate Hall and former Ultimate Poker pro Dan O’Brien . The new pod hit the airwaves last month, and 5 episodes have been released. Sounding very NPRish, the first episode drops in ahead of the pair’s trip to the World Series of Poker. The pod gives their take on the risks and rewards that come with along with competing in the WSOP, selling action, how much of their bankroll is on the line during the WSOP and nerves and excitement ahead of the tournament. Released each week you can get stuck into them here. We couldn’t have said it any better, Chad. Is This The World’s first Poker Dogumentary? 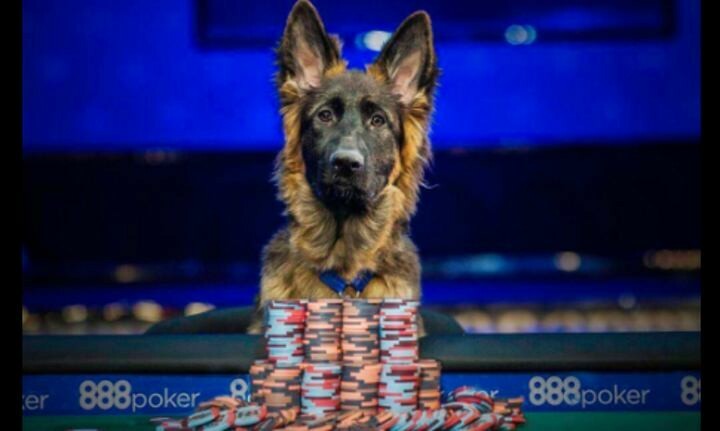 Overcoming the odds to play in the WSOP Main Event, this is a story of how one dog overcame all the odds. WSOP head honcho Seth Palansky and Social Justice Warrior Cate Hall both feature in this hard hitting documentary about the plight of one oppressed pup, Grizzle, on her quest to play in the Main Event. Although it is yet to appear on Netflix next to Daniel Negreanu’s doco Kid Poker we are sure that will be the next step for this film that shines a light on marginalization at the WSOP. In the meantime watch the cool Poker Listings video!